Battle: Los Angeles has a new trailer. Jonathan Liebesman’s film did pick up positive buzz with its first official trailer a few weeks back and slowly seems to be finding its place in a saturated genre. 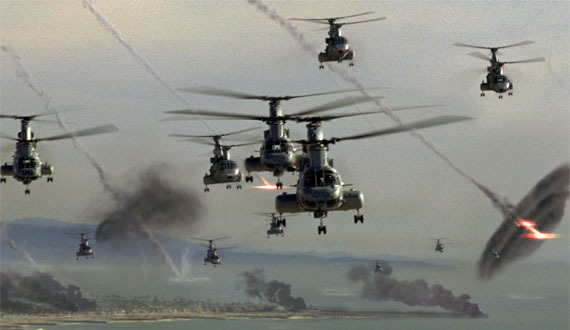 The Movie is based on famous historical UFO sightings and events such as the 1942 LA incident where an unidentified aircraft entered military airspace and was subject to artillery fire. I'm reading: [BATTLE: LOS ANGELES] HAS A NEW TRAILERTweet this!